Frankfurt am Main is a financial hub, home to the European Central Bank. 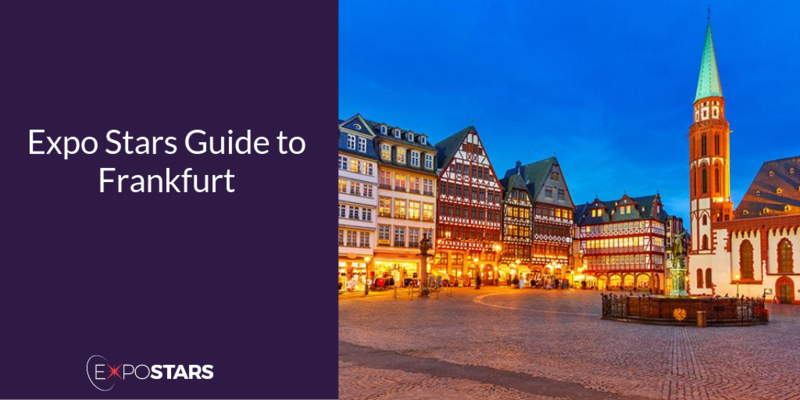 Much of the city was destroyed during WW2 and has been rebuilt, but that doesn’t make it any less of a cultural hotspot and the Christmas markets (like all German Christmas markets) are not to be missed. Frankfurt is a world-class financial and services centre and is one of Europe’s leading locations for companies. Its central location, excellent infrastructure and proximity to one of the largest airports on the continent mean it is a mecca for future-oriented companies. The city is home to many important sectors: the creative industry, the IT and telecommunications sector, biotechnology and life sciences, logistics and industry. Quick and easy access to markets is a given with the prevalence of local institutions and educational facilities. Its huge trade fair complex, Messe Frankfurt, hosts important events such as the Frankfurt Book Fair (the world's most important publishing event). Frankfurt, being so central, is an easy location to reach from all over. Once there, the local transport network, like all of Germany, is easy to navigate, quick and reliable. Frankfurt’s skyline is dominated by a great cluster of high-rise buildings due to the prominence of the banking quarter, and therefore has a distinctly North American flavour to it.). Besides that, the city is known for its large number of museums covering art, science, and history. Visit The Römerberg: Frankfurt's Old Town Center. Stroll around The Palm Garden the largest botanic garden in Germany. Emma Metzler. The French-German menu includes a couscous with beets, yogurt and dukkah for lunch or fennel bratwurst for dinner. Seven Swans. Considered among the best restaurants in the world, Seven Swans offers a seasonal menu (choose from five or six fixed courses) using regional ingredients like fennel, leeks, pumpkin, apple and asparagus.